A followup to the GenCon Talk on International Gaming! Heya all! Jason Morningstar from Bully Pulpit gave a lecture on international gaming. You can download the discussion here! 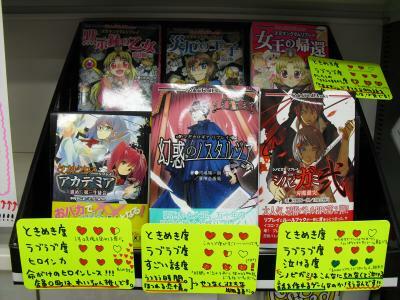 Ryutaama, Shinobigami, MAID, Tenra, Meikyuu Kingdom, Komiket, replays, “roll or choice”, FEAR, SNE. * Ryuutama, or as I like to call it “Hayao Miyazaki’s Oregon Trail”, can be seen on this site! http://www.j-rpg.com/ryuutama . Also, I officially announced the upcoming release (planned 2013) of Ryuutama. Stay tuned for a more official website soon. The core release will be in PDF format, with a very limited printing of books to coincide with an eventual kickstarter campaign (once the book is laid out). It’s a game with a very traditional adventure gaming structure, but the feel and style is very new. * Shinobigami is a story-focused game about modern day ninjas who fight each other-and themselves-to further the aims of their clan. It’s a scene-focused game where everyone is trying to create and author scenes to attain goals, goals which will eventually lead to them “winning” the scenario. More on Shinobigami here: ( http://www.j-rpg.com/talk/discussion/48/shinobigami/p1 ) and here ( http://d66roc.wordpress.com/category/shinobigami/ ). * I can’t shut the hell up about Tenra Bansho Zero, because I’m so proud that it’s finally coming out. The Kickstarter is here, please back it! I mean, it’s funded five times over, but the more stretch goals that are broken, the more awesome we can generate for it (including lower the eventual MSRP of the final book, which has already happened once). * Meikyu Kingdom – A lighthearted fantasy game about creating and expanding a kingdom in a world where the whole dimension has turned into an endless labrynth. More here ( http://en.wikipedia.org/wiki/Meikyu_kingdom ) and on Matt’s blog here ( http://d66roc.wordpress.com/2010/10/07/meikyuu-kingdom/ ) . Totes fun, cute. * The Komiket, or Comic Market, is the largest comic convention in the world. It’s held twice a year in Tokyo’s Big Sight, and boasts about half a million attendees for the wekend ( http://en.wikipedia.org/wiki/Comiket ). Every year there’s 100 or so “Tabletop RPG tables” in a specific section for a day, where folks bring their replays, house rules, fan translations, fan rules, settings, etc, and sell and trade them with each other. * Roll or Choice is a grand phenomenon: To make characters easier to create, some developers use a system called “roll or choice” (RoC): You roll on a table to see your result. If you don’t like that result, you can look around for another option and choose that instead. What’s the point of rolling, if you can just choose something anyway? The roll helps stop some analysis paralysis (looking over the list and taking painful amounts of time to decide on one), the one you randomly roll might suddenly shock and inspire you! Or if it doesn’t, maybe the ones right next to that option will! * FEAR and Group SNE are the two largest RPG development houses in Japan, located in Tokyo and Kobe, respectively. Hey all! Sorry that we’ve been fallow for like half a year. A lot of craziness this year, including working in Tokyo for a month, securing the rights to translate and produce two more Japanese RPGs, and planning out a Kickstarter that will be starting in a week or two for Tenra Bansho Zero. Co-conspirator Matt S and I put our heads together on how to post stuff here in the future (because we’re very interested in keeping it up, given time and energy constraints of course), and we think we have some solid ideas. We’ll be sharing those shortly! Also, if you want to contribute to this blog (Anyone can comment! 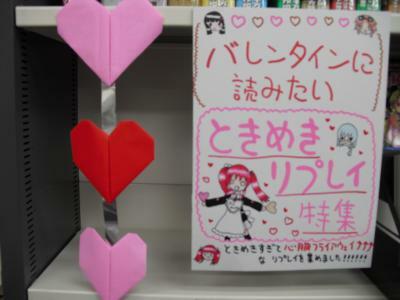 But we’re always looking for people who can speak/read Japanese, have read or played some Japanese games and want to talk about them), please post a comment and we’ll talk to you! Well Played, Role and Role Station, Well Played! The above pic was borrowed from the latest blog post by the owner of Role and Roll Station. “Role and Roll” is an imprint, a company that makes various tabletop games and RPG-related media items. Their public site is here: http://www.arclight.co.jp/r_r/. I’ll talk about some of their excellent games later. Role and Roll Station is R&R’s brick and mortar gaming store in Akihabara. It’s one of the best gaming stores in Japan, right up there with Yellow Sub and Daydream Cafe. Anyway, I’ve always been a fan of the owner (“Tencho”; or loosely “Shop Boss”) of the store: He’s really creative, extremely public and prolific with updates and blogposts and the like, very transparent with the good and bad things that happen as a store owner (including his struggles to find a new storefront when the previous one was pretty much destroyed/unusable after last year’s earthquake). This latest Valentine’s post is just another example of a good store owner creatively generating some buzz and goodwill, and not just falling into a slump of day-to-day sales. So what he’s got there is one of the pictures from his store, the New Game/Materials shelf. It’s a mix of TRPG, replay and supplement there. Those cards each have three categories with hearts in them, then a somalier-style (but with games instead of wine) description of the game from a Valentine/lovey-lovey point of view. TOKIMEKI: It’s an onomatopea which basically is the thump-thump of a heartbeat. It’s used in “sparkly innocent love stories”, like the “Tokimeki Memorial” game series or other school-days-era love stories. Indicates the amount of innocent sparkly happy love that can happen in the game. Then the third is something else/different special for that specific product in order to show off what it does. 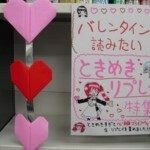 The bottom left one’s third column is “Heroine Power“, the middle one has “Incredible Story“, the third one (Shinobigami!) has “This Can Make You Cry“. Anyway, that was a pretty creative thing for them to do, I thought, and deserved a shout-out. Just a little fun activity, nothing too serious, that tied holidays and games together. I’d love to see what they come up with for Halloween. Or perhaps Respect-for-the-Aged Day! Also: SORRY MARLA in NC! Looks like your comment got false-positive’d as spam. I corrected that. Good to hear that there are gamers/J-speakers in the RTP/Triangle NC area. Hit me up with your contact info and we’ll hit you up when we playtest/run a Japanese RPG locally. Late 70s/early 80s: The Lord of the Rings books are translated into Japanese and enjoy some minor success. 1984/85: Traveller and Dungeons and Dragons are translated into Japanese. Tunnels and Trolls comes out soon after. Record of Lodoss War replays published. 1989: The first Japanese-made fantasy RPG, “Sword World”, released. …see the problem here yet? In the US and Europe (those nations with very little information float due to translation lag), tabletop RPGs had a generation to be released and gain acceptance or at least a decent foothold before the first classic console RPGs started to be released. While those console games were initially dinky and repetitive, they were pretty addictive and well-made for the time, and of course could be played by one’s self. D&D and Sword World still had the “imagination advantage”, but due to various cultural reasons (which we can look into later) it’s much harder to organize group play. Most folks who started playing in this era were brought into the game through high school/college clubs (book clubs, manga clubs, cultural clubs etc) or their friends. But yeah, the main problem there was that when D&D/AD&D started its heyday in the US, video games were just crappy dots and bleeps. In Japan, the Nintendo/Famicom came out the year before D&D exploded. Nintendo, in its absolute drive to create innovative new games, found out about these tabletop RPGs and quickly starting making similar games for the console, most successfully initially with Dragon Quest (Sequels to Dragon Quest were the ORIGINAL “line up for two days outside the store just to buy it” games). After that, the early 1990s are a whirlwind of mostly English games translated into Japanese, and meeting moderate to great success: Call of Cthulhu, Cyberpunk, Shadowrun, Runequest, TORG, Earthdawn, Vampire and the first three World of Darkness game line books, and so on. The mid 1990s is where the tabletop market started to dry up, perhaps around the same time console RPGs exploded in popularity. From the mid-90s on, fewer English RPGs saw translation into Japanese. However, some studios began developing more interesting and uniquely Japanese RPGs. Tokyo NOVA (トーキョーN◎VA), with its uniquely Japan-centric cyberpunk setting and trump-card-based rules and Tarot-based character classes, was a true gem of this era. The late 90s and early 2000s were a succession of Japan-centric RPGs that fell into two categories: New systems, new settings made for the Japanese market; and licensed Japanese media turned into tabletop RPGs (like the Megami Tensei series). 2000s onwards: I’ll post more on this era in a future post. However, to briefly summarize: Very few English games translated into Japanese (although an explosion of interest in board games creates a pretty decent market for translated board games!) aside from Dungeons and Dragons (3rd and 4th editions), Warhammer 2nd and 3rd editions, and very recently Eclipse Phase. There are a handful of RPG companies, and they have pushed towards making more rules-light games with settings and rules aimed to pull in fans of anime, light novels, and console games. Because of that push, tabletop gaming went through a second explosive renaissance: While the market is no where near what it used to be in 1984-89, many new players are pulled into the hobby with games like Tenra Bansho, Alshard, Doublecross, Arianhrod/Etrian Odyssey and more. The games we’ll be talking about on this blog mostly come from this new era. To be frank, some incredibly awesome games have developed in this trying environment, the strive to stay alive and be relevant resulting in extremely interesting developments worth relaying back to the English-speaking world. Stay tuned for more! Hey all, sorry about the wait for a full “up to speed” site. I’m taking some pics to use as a banner replacement instead of these (rather beautiful but not to do with anything) nature scenes. In the interim, how about a quick discussion on Japan in our Western gaming? So, I run this other RPG discussion website over here. There’s been a few threads on Japan, Japanese-themed games and the like that I go back and re-read from time to time. Here are a few interesting ones, just wanted to point them out. I might go back and revisit them, and develop the “essay” further here at some point. It all started with a kind of crazy story about selling games at GenCon. Anna K, who runs the awesome blog on SexismFail in the (mostly console) gaming world called “Go Make Me a Sandwich“, had a weird moment where some guy with… kinda weird issues… shot down the pitch for every game because “Nope, Japan” (“…and my wife doesn’t like Japanese-themed games”). 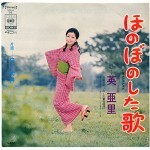 Supers, historical, whatever, somehow everything was Japanese and thus haraam. Funny and cute story. Almost kinda turned into a meme, but it kinda works better as just an example of some of the weirdness you run into at cons. But it got me thinking, why are there so many games that focus on Japan (say over other asian cultures)? I started this thread long ago, called “So much Japan in RPGs, why?“, where I looked into, talked about, asked questions about etc the whole “why does Japan feature so prominently in our RPGs?” thing. I followed that up a few months later after some discussions on Japanese-themed settings, “…why Japan?” That is, why is Japan so interesting as a gaming setting? What is it about Japan that grabs our little otaku hearts, be it historical or contemporary? So if you ever do some thinking on using Japan in your RPGs, and wondered why you were drawn to it, check out those above threads (no need to log into the site or generate accounts if you’re not interested, you can read them without being a member). You might pick up some ideas! * Any cool anecdotes about running or playing a game set in some Japanese or heavily asian-themed setting worth sharing? Let us know in the comments section! We’ll follow up in future posts! There has been a lot of talk about Honobono among us, particularly about Ryuutama and Golden Sky Stories/Yuuyake Koyake. I usually describe by calling it a “feel-good” genre and making associations with Ghibli films, usually in the same breath. Recently Andy and I talked with Kamiya-san and Elmeth-san from Tsugihagi Konpo about Honobono, and Elmeth said that his idea of Honobono comes from fairy tales, and mainly is about using words to resolve conflict. I often think of Honobono as a very Japanese genre of games–hell, you can’t find anything like the games I mentioned on shelves in America–but how Japanese is it? It’s clear that Honobono exists in America: comics like Garfield and Family Circus fit the bill, and many Disney animated films are based on fairy tales (but to be honest I don’t know if many if them really fit in “Honobono”, there seems to be quite a few violent endings). But what about western Honobono gaming? I mean besides stuff like “Candy Land” or “Mouse Trap.” What sort of examples are there? Hey all, please wait a day or three as we re-establish the J-RPG blog and add some content. We’ll be digging into new themes, new content delivery methods and the like, so please bear with us!